"Our approach to training is defined by our way we want to play. My session in Elite Soccer will help show you how our way is applied in simple training activities to give you a first idea to develop counter pressing." Those successes, allied to a German Cup win in 2011-12, helped to re-establish Dortmund among their country's elite, and by his fifth campaign at the helm Klopp was also proving himself capable in Europe.In 2012-13, Dortmund reached the final of the Champions League, where they were defeated by rivals Bayern Munich, but a loss at the hands of better-resourced foes did the manager's reputation little harm.That is largely because it was not just the achievements of his team that caught the eye but also the relentless pressing and attractive attacking football that underpinned those successes. As Klopp explained: "What I love is not serenity football, it's fighting football - that's what I like. "What we call in Germany ‘English football' - rainy day, heavy pitch, everybody is dirty in the face and they go home and can't play football for the next four weeks." 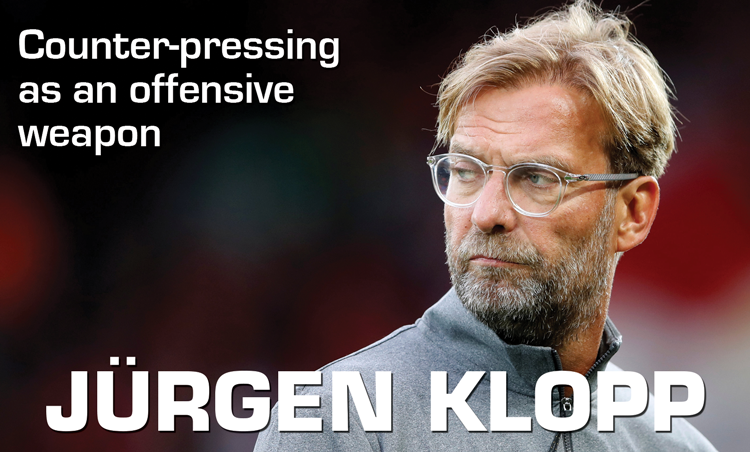 He arrived on Merseyside looking to apply that approach in its philosophical home of England, and specifically at Anfield.And Klopp’s first campaign at the helm was an exciting one, punctuated by a series of exhilarating matches and performances. There is much to do and much to achieve and we look to do this by being the most completely together group anywhere in the world,” the boss said. “That’s everyone and we all have responsibility for it - all of us who are part of this LFC family: players, staff, ownership and of course the supporters.